You can change your username in your profile settings. To access these, click on your name or profile picture in the lower left corner and select "Your Account". 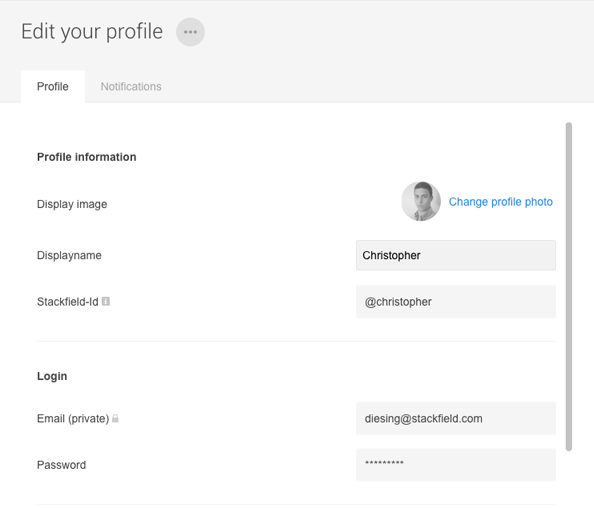 Then, you can change your display name, which represents your username, and your profile information. The display name can be changed as often as you want. The display name / username differs from the Stackfield-ID. The Stackfield-ID can be changed only once and is used to search and identify a person on Stackfield.